The war is still part of the landscape… War doesn't go away. It lives on and becomes part of the natural setting; all of these materials have a memory to them.… The images of war are part of the leaves, and live inside and outside of them. Bin Danh's inventive photographic work centers on the lingering evidence of the war in Vietnam and surrounding areas in Southeast Asia, evoking how remnants of the war are found in the shape of memory, tangible traces in the landscape, and historical records. Using the relationship of form and content in his work to quietly raise challenging questions, Danh offers a meditation on how these different manifestations of a violent past can overlap and affect each other. Danh begins with found photographs from Vietnam and the Cambodian "killing fields," which he gathers from archives, military records, and newspapers. He then prints these images directly onto tropical leaves, using a photographic procedure that employs the plants' natural processes. To create these "chlorophyll prints", as he calls them, Danh presses living leaves between glass plates along with a photographic negative (generated digitally from the source photograph), and exposes them to sunlight over the course of weeks or months. The areas that are blocked by the negative are prevented from producing chlorophyll in the process of photosynthesis, leading to different colorations in the light sensitive pigments in the leaves and causing the image to come into view. 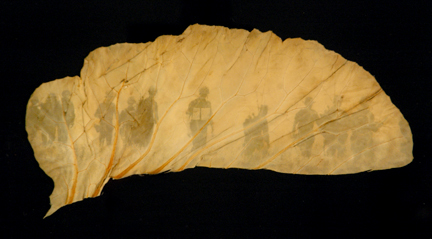 In pieces such as Drifting Souls #4 (2005), the faded appearance of the image and the fragility of the dried leaf give the impression of a scene wavering between presence and absence. 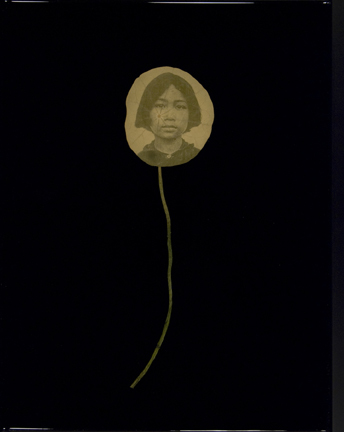 The photograph here appears as a ghostly after-image in the leaf, embodying Danh's perception that "the memory of war lives on in the landscape." Although Danh's works have a powerful metaphorical quality and may initially appear as beautiful or precious-seeming objects—some even incorporate vividly-colored butterflies alongside the leaves—they also elicit sharper questions as to the nature of evidence. The photographs he uses are incidental records of the victims of war—or more chillingly, in the case of his works drawn from the archive of the Tuol Sleng Genocide Museum in Cambodia, they are products of the systematic documentation of the condemned. At the same time, Danh's image-bearing leaves are encased in resin to preserve them and they take on the guise of scientific specimens. The implications are far from spelled out in Danh's works, but these different notions of examination and documentation overlap in thought-provoking ways. Through the appropriation of found imagery and the unconventional use of botanical specimens as the material base for his photographs, Danh positions his work at the intersection of artistic, historical, and scientific perspectives. Bin Danh was born in the southern region of Vietnam. Immigrating to the United States with his family when he was an infant, Danh was raised in San Jose, California. 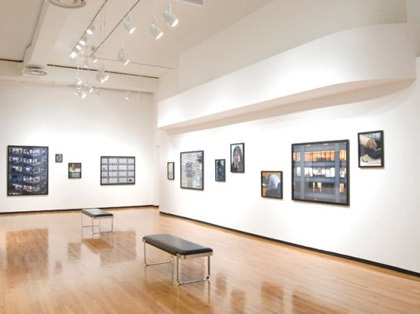 He completed a BFA in Photography at San Jose State University in 2002, and an MFA at Stanford University in 2004.